Made with 100% premium USA beef and simple, all natural ingredients, Blue Dog's Deli Sticks are free of all artificial flavors and colors, artificial preservatives, and animal by-products. 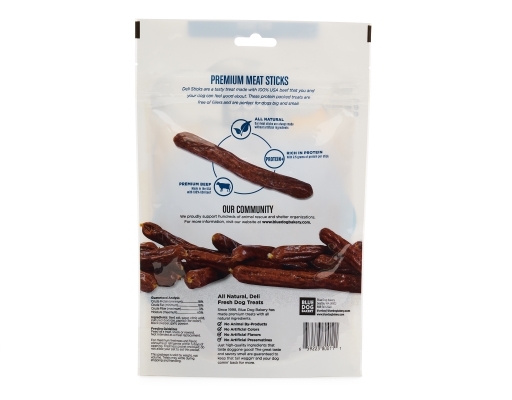 Simply clean and healthy treats for your dogs that are are packed with protein (2.5 grams per stick!) 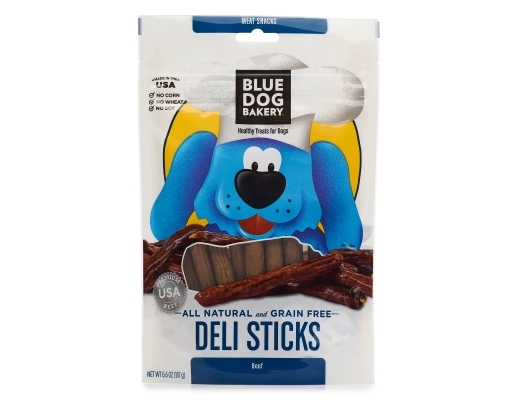 and made without corn, wheat, soy, or fillers. 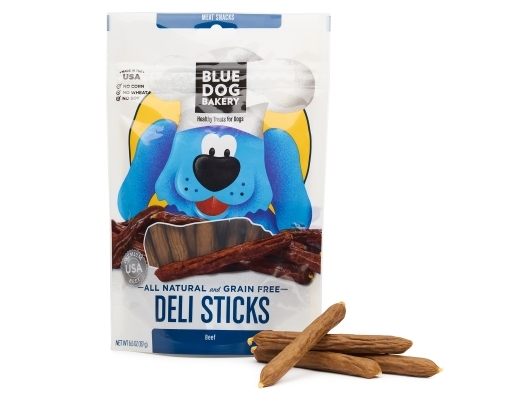 Since 1998, Blue Dog Bakery has baked up premium treats with 100% pure and natural ingredients. 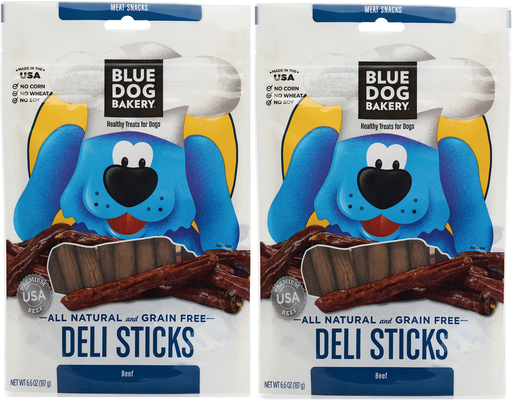 Blue Dog makes their treats responsibly in the USA with the highest quality ingredients to ensure they are safe, wholesome and downright YUMMY! No animal by-products, artificial colors, artificial flavors, or artificial preservatives - just high quality bakery ingredients that taste doggone good. 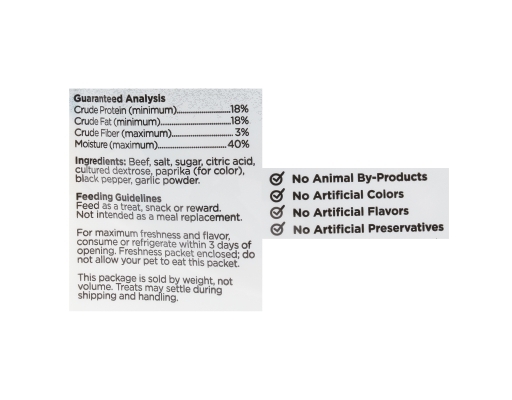 The great taste and bakery fresh smell are guaranteed to keep that tail waggin' and your dog comin' back for more. 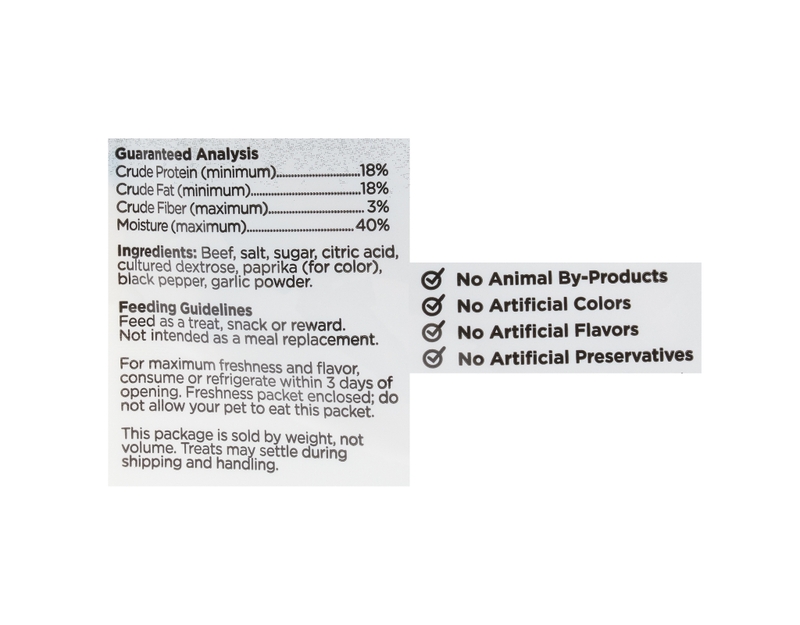 Beef, Salt, Sugar, Citric Acid, Cultured Dextrose, Paprika (For Color), Black Pepper, Garlic Powder.